Heiskanen’s presence on the team is especially noteworthy given that he is only 18 years old still, and made it over other top young players like Olli Juolevi. The third pick in the 2017 draft, Heiskanen is an incredibly mobile two-way defender that should be an impact player in the NHL before long. The Stars will watch to see if he and Honka get any time together and can start to build chemistry, as the pair could be used together for years to come. For Rantanen, a good performance at the Worlds would be just another feather in his cap for the 2017-18 season. After scoring 20 goals last season on a dreadful Colorado team, he and Nathan MacKinnon formed one of the league’s most dangerous duos this season and racked up the accolades. Rantanen finished with 84 points, a huge total for a 21-year old winger still learning how to best use his big frame in the NHL. 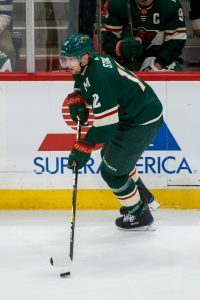 While the Minnesota Wild will likely need to fight every game for the rest of the season to reach the playoffs, there isn’t a lot of talk about what the team intends to do in the offseason, yet there are key decisions the Wild will have to make in the coming months, including what to do with a pair of their top forwards in Eric Staal and Jason Zucker. While the team is already loaded in forwards who are locked up long-term, both Staal and Zucker have been key players for this year’s team. Staal still has another year remaining at $3.5MM, but would be eligible for an extension on July 1. 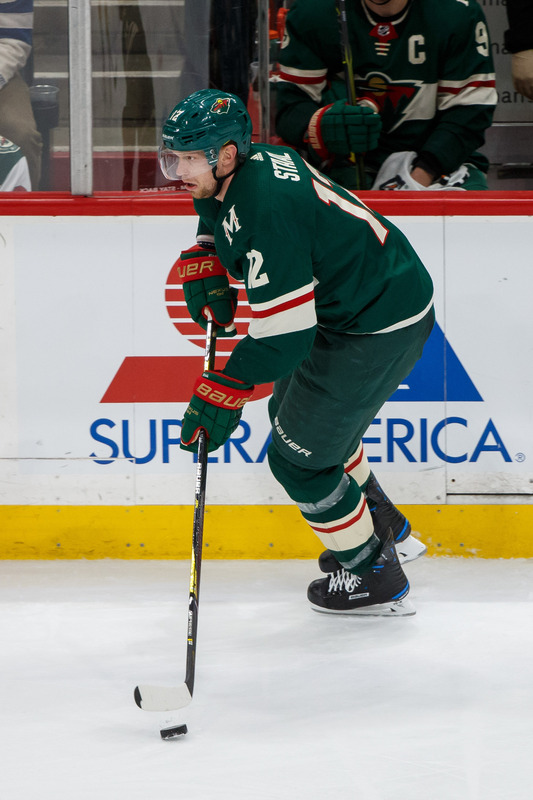 At 33 years of age, the team is in a tough situation as it wants to make sure they don’t get stuck with a long-term deal with another aging player like it did with Mikko Koivu. However, Staal has put up 61 goals in two seasons for Minnesota and doesn’t look like he’s slowing down. The Athletic’s Michael Russo (subscription required) writes that the team should consider a three-year extension in the $5MM range. He writes he doesn’t see a true slow-down by the veteran. It shows on back-to-back games, but the scribe writes that both his hands and legs haven’t slowed a bit. The real question is Staal still has another year. What if he declines before an extension kicks in? It’s a gamble either way. Zucker is another player who has taken that next step every year in Minnesota. He has already passed his 22-goal career high from last year. Now with 26 goals, he finds himself on his last restricted free-agent year before becoming a unrestricted free agent after the 2018-19 season. The fear is the Wild could lose Zucker at that point to higher-profile teams, so locking the 26-year-old up this offseason makes the most sense. Russo writes that it could take a six or seven-year offer in the $5MM range to get a deal done. He might be open to signing now as he has quite a few community ties, including the fact that his wife is from Minnesota. Both players would like to get money that is close to Nino Niederreiter or Mikael Granlund money, which could cause some problems. The team already has six forwards that are locked up until 2020, not including Staal or Zucker. They also have three defensemen locked up long-term as well, so the team might have to find to move out some contracts in the near future to make their cap situation work out the best. To make matters worse, the two players whose deals might hurt the team the most belong to Zach Parise and Koivu. Parise has struggled all season with injuries and, as expected, his 13-year deal he signed back in 2012 is starting to hurt the team. The 33-year-old still will be locked up until the 2025 season at $7.5MM per year with a no-movement clause (another issue if there is another expansion draft in two years). Koivu has had a down year as well. At 34, he just signed a two year extension at $5.5MM at the start of this season which kicks in next year. After putting up 56 points or more in each of the last two years, he has just 35 points in 65 games this year. One other option, according to Russo, would be to trade Tyler Ennis, who has one year remaining on his deal at $4.6MM AAV. The 28-year-old has just 18 points this year, but if the team retains his salary, they might be able to trade him off to free up some cap room. A buyout of Marcus Foligno is also a legitimate possibility this summer.